The following are the Consumer’s rules which insurance Buyers must understand. Any deviation from these rules will hinder the policy holder with a large disadvantage at some point during the insurance claim process. 1. You must lose before you can win! It is imperative to understand that “insurance” is vastly different than any other product or service.To be able to “win” (To get paid what you are due), you must first lose!What’s worse is that when you have lost, you have lost the use of your car or your ability to earn a living. Under these stressful circumstances, you also lose your ability to think and function as a normal person, which gives you a large disadvantage.When so many policy holders are unaware and misinformed about insurance processes…. it makes insurance the financial crime of the highest degree. 2. Insurer’s get to practise – You don’t! They have more experience than you do! The insurers have been practising their tactics. Collectively, they have practised billions of hours perfecting their skills at taking from the masses and in the time of your claim ,they profit, Defend at all costs. 3. Don’t believe that you are lucky because they let you pay to Abuse you in the time of loss. Insurance companies are fiercely competitive. There are many insurers out there competing amongst themselves to lure you into their game. They will do almost anything to get you to pay to play. One of their tactics is to get you to believe that if they take your money that it is your lucky day.Insurance companies are as different as people. No two are alike. They each have their own method to compete in an overcrowded marketplace. Very few policy holders understand this important fact. Policy holders who do – have a very competitive advantage. Choose your Opponents very carefully.Remember, the largest companies are the most difficult to play against. 5. Know the purpose of the insurers business. The insurer’s business is cash flow management – not helping the policy holder recover from any loss incurred by an accident.The true purpose of the Insurance process is to take money from millions of good people that purchase policy’s and then mistreat them, one at a time, when they suffer a loss.To be profitable, every insurance company has its own dirty secrets that they use to maximize their record high profits. This includes giving you free advice (which is more often misinformation); denying paying your claim whenever possible; minimizing your losses by telling you how little your loss is; or sending you to substandard repair companies who pander to insurance companies by installing used or imitation copy car parts or giving them low, low prices to fix cars. 6.The Insurance claim is not a friendly experience . They change the rules when you are down. When you buy insurance the insurer’s rules are to be friendly, nice and courteous as long as you don’t have a claim.When you become a victim, the friendly Agent passes the ball to the defensive department and you meet, head on, a team of vicious lawyers who overwhelm you with time killers and paperwork of legal demands that a large percent of the population would find impossible to do. The Insurance industry is a vicious money and time management scheme. They take your money and they manage your time.In spite of the illusions of friendship, comfort, security and happiness between the insurance company and the good people that purchase these policies, the facts are that the insurance industry is the largest employer of lawyers in the world. Insurance executives, their brokers, lawyers, Bankers and politicians are the true beneficiaries of your insurance policies. 7. Never allow the insurers to give you the rules. Insurance education is the cheapest and best insurance policy money can buy.If you don’t manage your insurance, insurance will manage you. The time to learn about Insurance Tricks and Repair Rip-Off’s is today, NOT after you are involved in an accident with your car.Take time to understand risks and how to deal with them which includes carefully choosing the insurance company. Choosing the wrong insurance company can be worse than the loss.Simply buying an insurance policy without knowing how to collect the claim money is not in your best interest. The time you invest to learn, will make you as smart as the insurer’s, which is what you must do to be on a level playing field. Know every rule. 8. Use the insurer’s processes Against Them. Use their rules against them. It is in your best interest to understand exactly what you want to insure and how much you want to buy. It is not to your advantage to allow them to tell you. To get the very best deal on any insurance policy, you must understand that you have the money and you should choose the company you want to do business with – not the other way around.No insurance company does you a favour by taking your money. You are doing them a favour by purchasing there insurance policy. 9. Investigate before you enter the claim process. Investigate the claim-paying ethics of an insurance company before you play in their game.If you don’t know the claim-paying ethics of the insurance company, it is like lending money to a stranger. All you have is a promise to pay! How do you know they’ll pay you back?What matters is how fairly and quickly they pay their just debts and make you whole. Motorclaimguru does this for you as we are the people who exist to give you the facts. 10. Make the insurer’s Respond to your demands. Never allow insurance companies to tell you what you need. Shop intelligently; Tell them that you are choosing Quality and safe Repairs . 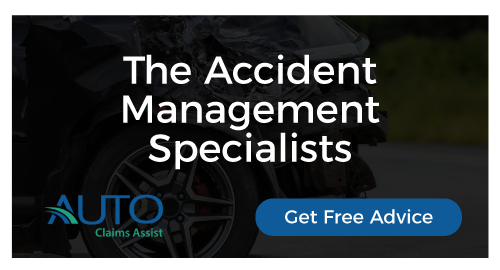 Stay firm and demand that further communications regarding your vehicle repairs and losses are to the Motorclaimguru and our legal partner’s that are authorised to act on your behalf. Thus keeping your best interests first priority! YOU ARE THE BOSS. United good people win; divided good people lose. It is just that simple.The Insurance Claim process is too complex for you to enter it all alone.So free yourself from the unfairness of the insurance process and to get the support you need on your team, you must make it your business to demand that Repairs to your vehicle are completed by your choice of repairer. Think about how little consumers know about insurance processes and how little power you will have when your car gets damaged and your insurance company is dragging its feet or denies paying your claim.The only way you can get a team of support and power is by being united with the Motorclaimguru team of intelligence, whose mission is protecting your interests and well being. What chance does one person have entering a serious financial challenge against an insurance company? erfect reason for you to share information and invite your friends, relatives and business associates to join our team when you need us.This unique Consumer’s Organization does not cost, it pays itself by allowing you to play on a level field, in addition to having education and coaching available for the policy holder’s team on how to play the most expensive game on the planet.Please make exact copies or Email this information to everyone that you care about. Post it on bulletin boards and pass them out amongst your friends, relatives, organizations and business associates. They will appreciate a different point of view.